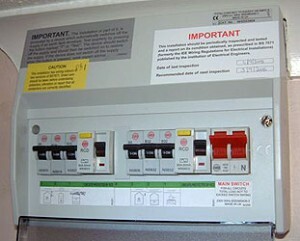 A Consumer Unit or fusebox sits between the electricity meter and the electrical circuits in your house. 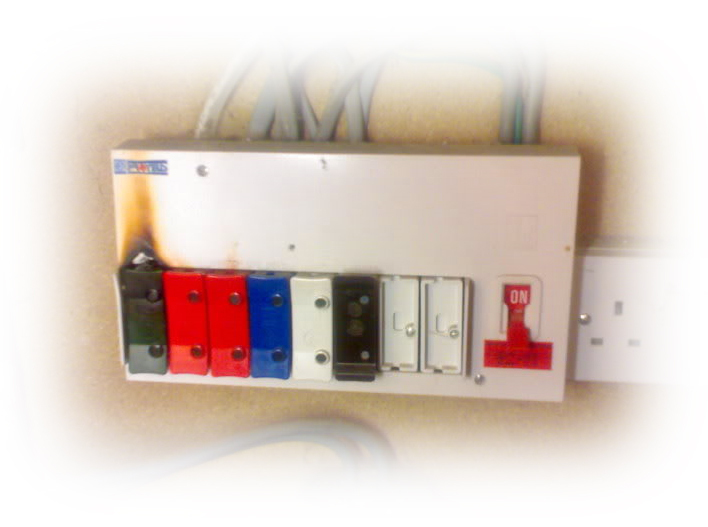 Many houses have the old style of fusebox which lack the safety features and convenience of modern consumer units. The 17th edition of the wiring regulations state that most circuits in a domestic property are to be protected by an RCD. It is often a better and cheaper option to upgrade the consumer unit rather than alter the existing installation in order to comply with the new regulations. A.J. Howarth Electrics local qualified Wirral & Chester Electrician can install a modern consumer unit in your home or business that is compliant with the current 17th edition of the wiring regulations. our local qualified electrician will install circuit breakers instead of fuses and an RCD trip to disconnect the supply in the case of a fault. A.J. 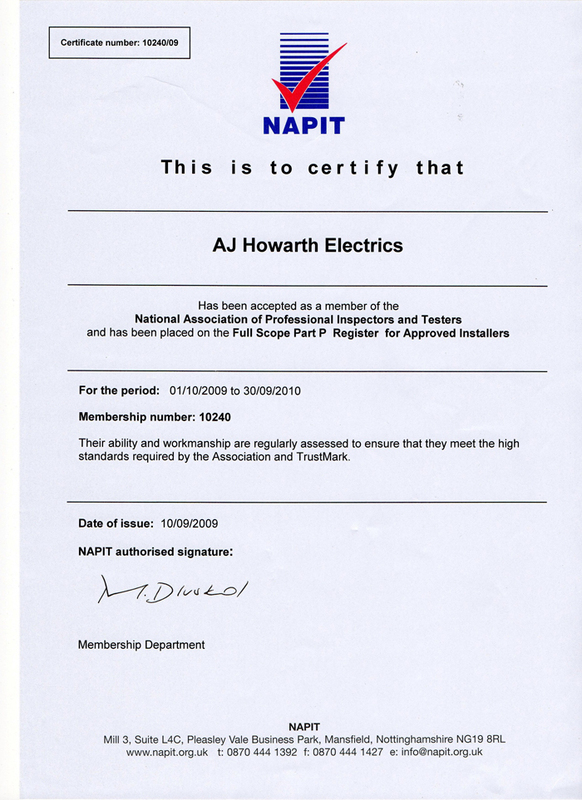 Howarth is a registered domestic & comercial electrician with the National Association of Professional Inspectors and Testers service (NAPIT) which is a government approved scheme and are accredited to NICEIC standards. Our ability and workmanship is regularly assessed to ensure that we meet the standards required by the association and trustmark which is a Domestic Installer Scheme. 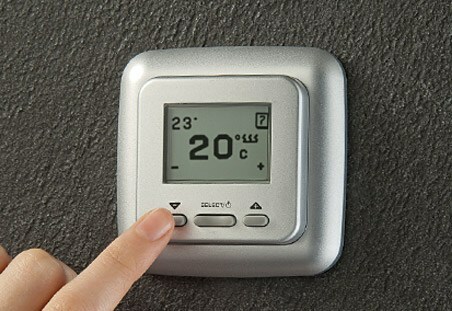 Customer satisfaction is always the a high priority in our services. © 2019 A.J. Howarth Electrics. All Rights Reserved.